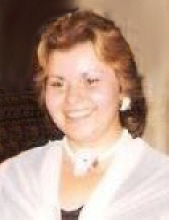 Anna Maria Mariani, 62, better known as Annie or "Peanut", passed away on Saturday, January, 19, 2019, in Elmhurst, Illinois. Annie is survived by her only sister, Rosemary Mariani, as well as her aunt Caroline (Bob) Michalski, uncle Leo (the late Mona) Losurdo, aunt Mary (the late Carlo) Losurdo, and uncle Larry (Cathy) Mariani. She is Godmother to Christopher Nikodem and Larry Imbordino and was blessed with the many cousins, nieces, and nephews. She is preceded in death by her father, Mario Mariani, and mother, Margaret (nee Losurdo), and uncle Patsy Losurdo. Born in Chicago in 1956, Annie lived most of her life in Schiller Park, graduating from East Leyden High School in 1975, and cherished wonderful memories of her grandfather, Mike Losurdo, Schiller Park farm. She was a skilled seamstress of bridal accessories as well as craft items. Her other passions were for her several dogs and one cat. She enjoyed cooking for her family and loved to help disabled children in their after school programs. Visitation for Annie will be held from 8:30am to 10:30am on Saturday, January 26, 2019, at Sax-Tiedemann Funeral Home, 9568 Belmont Avenue, Franklin Park, Illinois, 60131, followed by a funeral mass at St. Maria Goretti Catholic Church in Schiller Park and a procession to Mt. Carmel Catholic Cemetery in Hillside immediately following the mass. "Email Address" would like to share the life celebration of Anna Marie Mariani. Click on the "link" to go to share a favorite memory or leave a condolence message for the family.